Internationally pundits saw this as a significant challenge to Maduro's contested presidency as a direct, combative declaration that it remains illegal and invalid, as Reuters noted of the speech that "he was prepared to assume the country’s presidency on an interim basis and call elections." 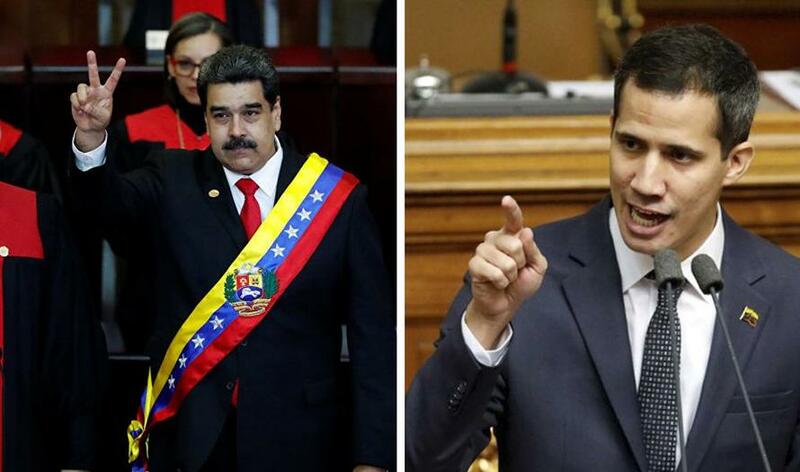 Trump is weighing recognition of the president of the National Assembly of Venezuela, Juan Guaido, as the legitimate Venezuelan leader after Maduro, a socialist authoritarian who has presided over the political and economic crisis in Venezuela, took office last week for a second term. The Trump administration is also considering leveling its harshest set of sanctions yet against Venezuela's oil industry, weighing actions as severe as a full-fledged embargo of Venezuelan oil, two sources briefed on the matter said. The Trump administration has previously weighed imposing sanctions against Venezuelan oil, but Trump ultimately rejected taking that additional step after an internal analysis showed it would lead to an increase in US gas prices. A full oil embargo would cause gas prices to rise by 15 cents a gallon for about six months, a former senior administration official said of the analysis. "The United States is currently considering all diplomatic, political, and economic tools in its arsenal in response to the usurpation of power by the illegitimate Maduro regime," Marquis said when asked if the US was considering an oil embargo. Dozens of other countries across Latin America and internationally have deemed the socialist dictator's re-election "illegitimate" — perhaps most notably Venezuela's southern neighbor Brazil, where its own newly elected right-wing leader, Jair Bolsonaro, dubbed by local media the "tropical Trump," has engaged in an escalating war of words with Maduro of late, and has given express support to Venezuela's political opposition while provoking Maduro with talk of opening Brazil to the presence of a US military base. It appears Trump could be feeling emboldened in his willingness to give formal US recognition of the political opposition based on the momentum of Bolsonaro's increasingly vocal and firm stance. The editorial described further, “What was once the region’s richest society was swept by epidemics of malnutrition, preventable diseases and violent crime. Three million people fled the country."